Domestic Adoption - Newborn Adoption in the U.S. Adoption laws, agencies, and attorneys by U.S. state. The annual number of infants adopted domestically (excluding foster and relative adoption) is estimated to be around 18,000 — far greater than the annual number of international adoptions. Moreover, the process of adopting a newborn in the United States can go more swiftly than you may imagine. In a 2012-2013 Adoptive Families survey, about half of respondents were matched with a birth mother in less than six months, and 40% were matched less than one month before their child was born. 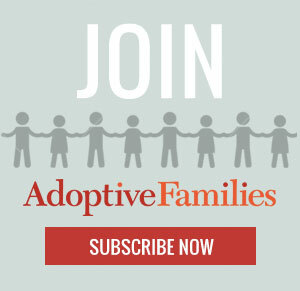 Continue reading “Adopting a Newborn in the U.S.: Fast Facts” on AdoptiveFamilies.com. Would Love to Adopt a White American Newborn Child. We live on Long Island and can not conceive would love a baby in our family. the baby while he is under the care of his new family. prenatal doctor appointments. You can still give your baby a beautiful life by choosing a loving couple to be your child’s parents forever. Some facilitators charge the same or more than licenced adoption agencies. MYTH: It’s too difficult to find information on how to adopt. of 18 without ever finding a forever family. Newborn adoption is a beautiful way to build families. In open adoption, birth mothers and adoptive parents know each other. They meet before the birth of the baby which ensures birth mothers that their child is in great hands and adoptive parents also get the opportunity to know the birth mother and her history. Use a licensed child placing agency for the entire process, otherwise there is little ongoing support provided to the adoptive and birth families.